I have slate tile on my porch and I put sealer on it last summer. This summer the color looks dull and I want to bring out the color. What can I do? The natural look of slate is a dull sometime even chalky look. If you want to bring out the colors more, you can use a sealer called an enhancer. The enhancing sealer will darken the stone, like if it's wet. It won't make it shiny, but darker, which brings out the colors. First scrub your slate tile very thoroughly with a tile and grout cleaner and rinse very well. You might want to let the slate dry out for a day or two before putting on the enhancer. When applying the enhancer, it usually will penetrate rather quickly. 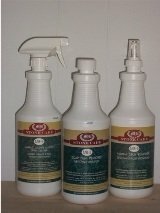 Wipe the residue right away as the enhancer should have already penetrated into the slate. Don't let the enhancer dry onto the slate, as it will more difficult to remove. 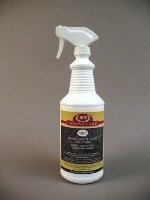 If there is a residue, re-apply the enhancing sealer to re-activated it and then remove with a cloth immediately. 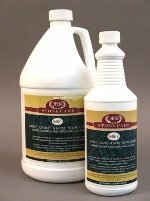 Search our Stone Care Products on the left of this page to buy the Color Enhancer we use when we enhance slate. I hope this helps. Reading the directions on the container is very important.